For most of us, sitting behind a desk or typing away at a computer is part of our everyday lives. Whether you’re retired and like to keep up with the family online or work in an office and spend your day at the computer, there’s no denying that huge portion of our lives these days seems to be spent sitting down. Although it might sound relaxing to spend your days on your behind, it can actually be doing quite a bit of damage. Anyone who’s ever felt discomfort in their posterior or a sore back after just a small amount of time seated will understand just how damaging it can be to spend your entire day there. To relieve yourself of some of this discomfort and prevent future injury from happening we need to start focusing on the coccyx. This unique part of the body takes most of the pressure on when we’re seated and it can be put through quite a bit in a day, with little to no support offered by most standard types of chair. For this reason, investing in a coccyx cushion is something that shouldn’t be put off any longer. These cushions support your coccyx and take all of the weight you have to offer so that your tailbone won’t touch the seat and there’ll be no pressure in your spine. The Aylio Coccyx Cushion has been designed to do exactly that and will completely change the way you sit from this day forward. Aylio offers one of the best coccyx seat cushions that have been designed to offer support and make you as comfortable as possible in whatever you’re doing. Their range includes everything from doughnut seat cushions to car seat cushions, so you can have one of their amazing products with you in every aspect of life. The Aylio Coccyx Seat Cushion is a revolutionary product that focuses solely on this important body part as well as gently cradling your buttocks, hips and thighs. By giving support to all of these areas far better than a regular chair ever would, you’ll take the pressure off of your spine and the rest of your body will thank you for it. This coccyx cushion has so many great uses whether you want to take it with you travelling on planes or in cars, to watch TV with each night, sitting under you at the office or for use in your wheelchair. 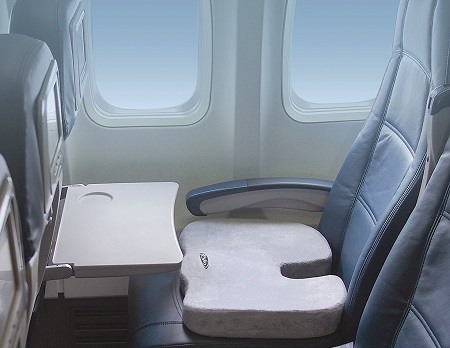 There are so many great uses you’ll get from just the one coccyx cushion and you’ll feel comfort like never before when you add it to your seat. The biggest benefit of this coccyx support cushion is how much relief it gives, with reviews from truck drivers to office workers being amazed at just how supportive it can be. This is a truly versatile cushion that works in so many settings and you’re not limited to where you can use it. 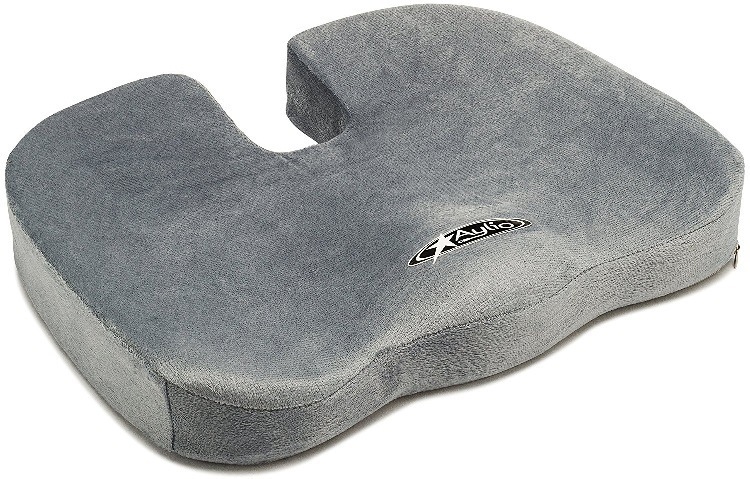 The Aylio Coccyx Cushion is a little more expensive than you’ll find with other brands, and when you consider that it only has the seat cushion without an additional lumbar support pillow you might not be impressed. However, take it from the reviews that this coccyx cushion offers everything you need and more, so it’s worth spending a little extra. One small design feature that could do with updating in the next version is something that helps it grip your seat. There are other brands with a rubber stop on the bottom which prevents the cushion from sliding off, and that’s exactly what the Aylio Coccyx Cushion could use to make it a perfect product. If you’ve been hunting around for the best coccyx seat cushion but don’t want to pay premium prices, you’ll be thrilled to know you can get the Aylio Coccyx Seat Cushion through Amazon for around $40. This is somewhat higher than other brands but you’ll feel nothing except comfort and quality when you choose this product. The Aylio Coccyx Cushion is backed by the brand’s famous lifetime guarantee of quality, so although you might be spending a little extra you know that it’s worth your while. 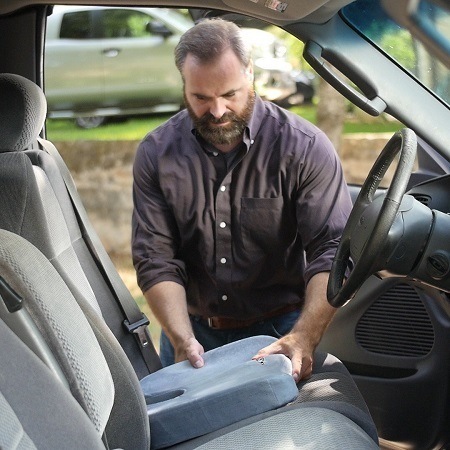 When compared to other seat cushions that only offer a year or less, spending that extra $10 will give you a whole lot more value and peace of mind. Some people might like to purchase more than one of these coccyx cushions so that they can have one where they need it rather than carrying them around. 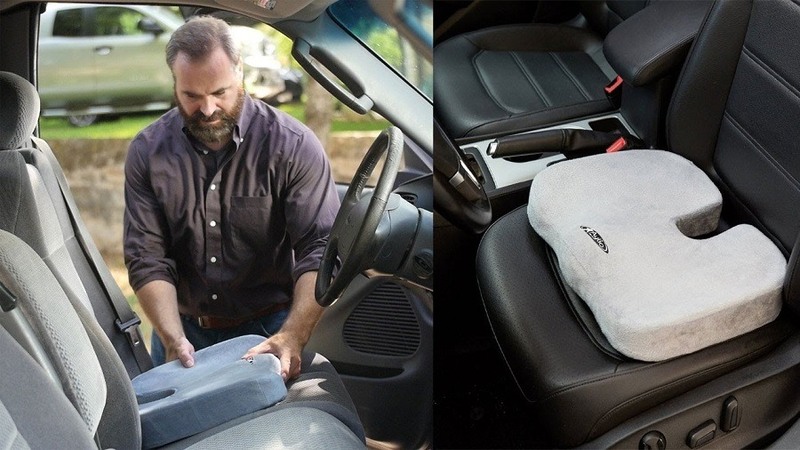 A cushion for work and one for the car would be a great decision for someone who needs the extra support, and it means that you’re always covered wherever you are. If you’re in desperate need of support for your body and want the instant relief that a support cushion can offer, you should invest in an Aylio Coccyx Support Cushion today. These innovative devices work for home, work, travel and anywhere else you need to be seated and come with the lifetime guarantee of their quality. The Aylio Coccyx Cushion is a must for anyone recovering from injury or surgery, and just as effective for the everyday user who needs a bit of comfort and support. Get your Coccyx Support Cushion today and change your life for the better.